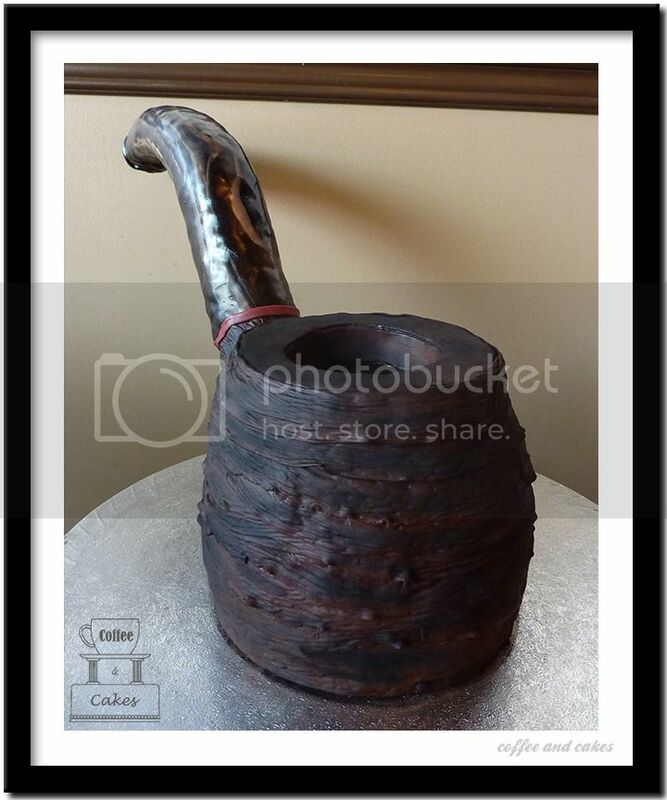 A very unique cake as most of our cakes are, but this one was scaled to one of the fine pipes made by Michael Parks at Parks Pipes. 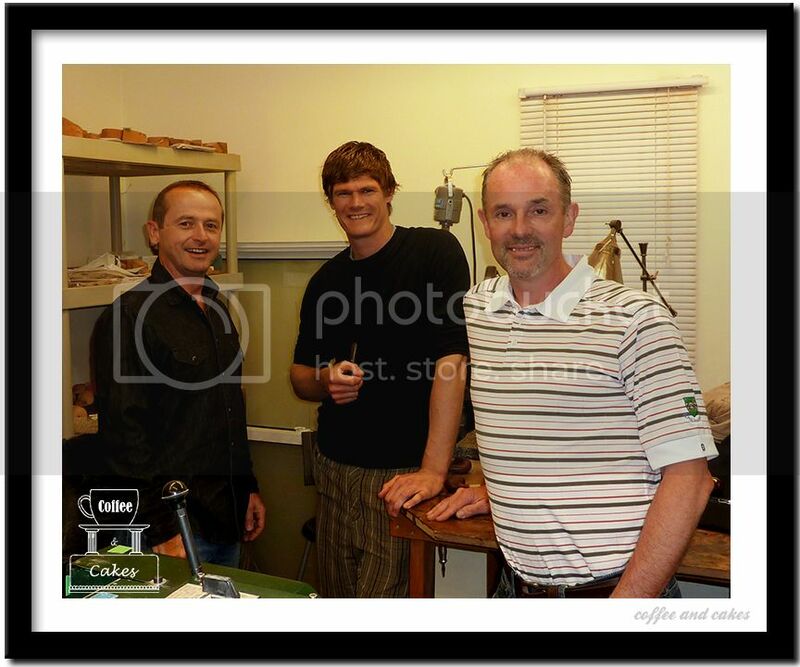 Michael is a world renowned pipe maker located right here in Bowmanville Ontario, Canada. 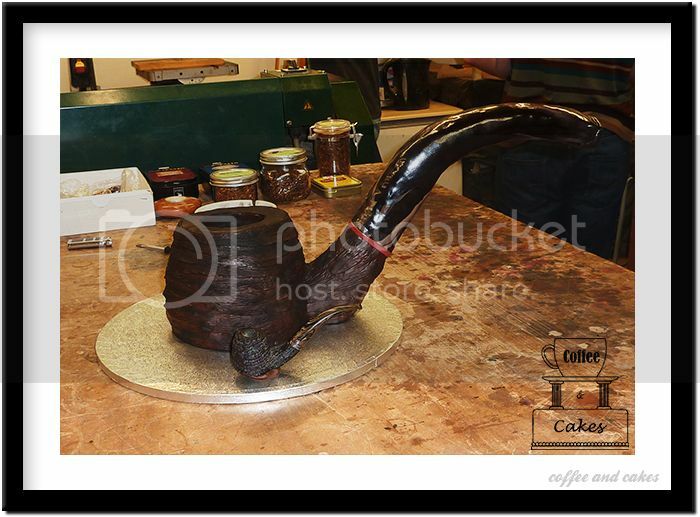 This cake was make for a Pipe night held at his work shop in conjunction with Victory Cigars in Oshawa. 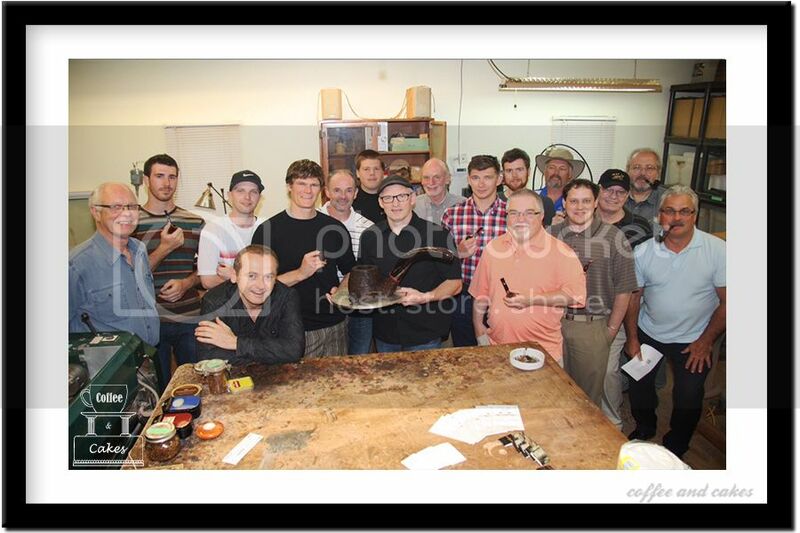 With 20 pipe smokers in attendance the event was a huge success. 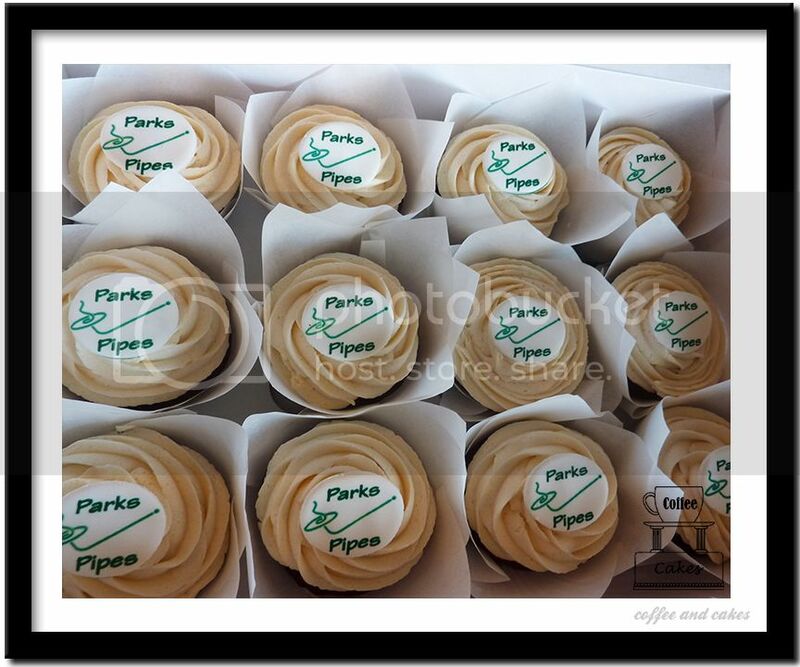 The red velvet pipe cake, Cupcakes and freshly brewed coffee was enjoyed by all. 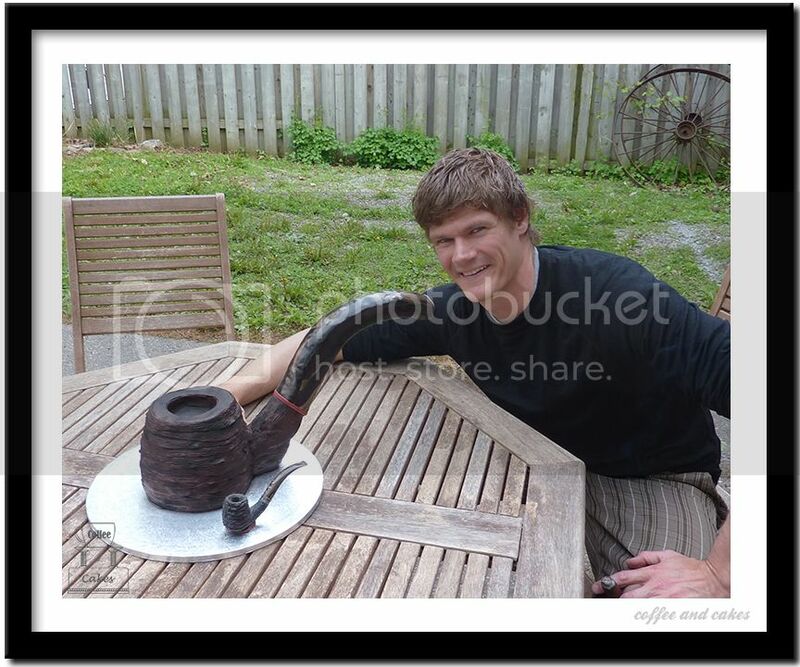 Probably not too many of you know that in Bowmanville we have one of the top tobacco pipe makers in the world. "Now put that in your pipe and smoke it". I only recently discovered this as Michael Parks and his assistant Tyler frequent the cafe on a regular basis. So eventually we got talking about woodworking and then pipe making came up. Having been in Cabinet making my whole life I was immediately intrigued and then blown away by the pipes that Michael and Tyler make. 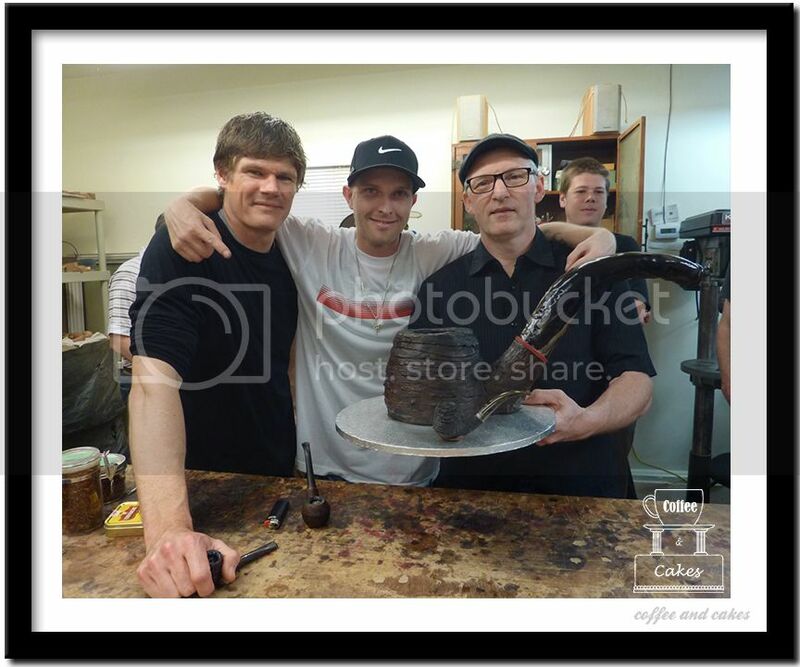 So Michael started talking about a pipe night which was to be heard at his local workshop in conjunction with Victory Cigars in Oshawa. 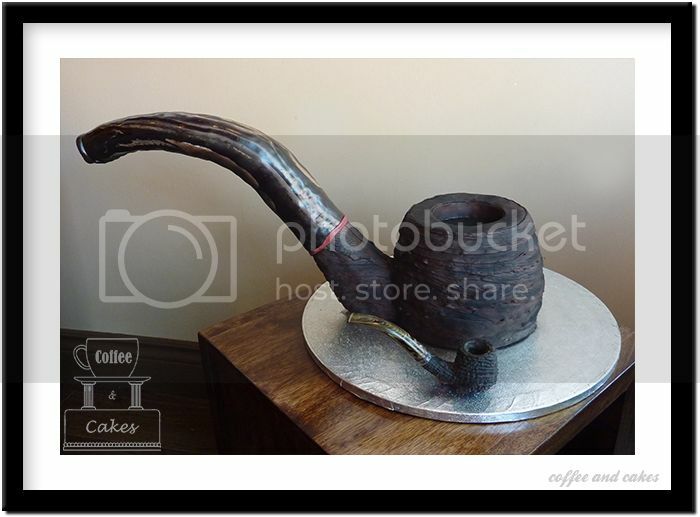 So then Michael had the idea of having a Pipe cake for the event. So the wheels started turning, Lisa and I got out the paper and pencils and started trying to work out the structure. The small and real pipe in the picture was what we worked from. 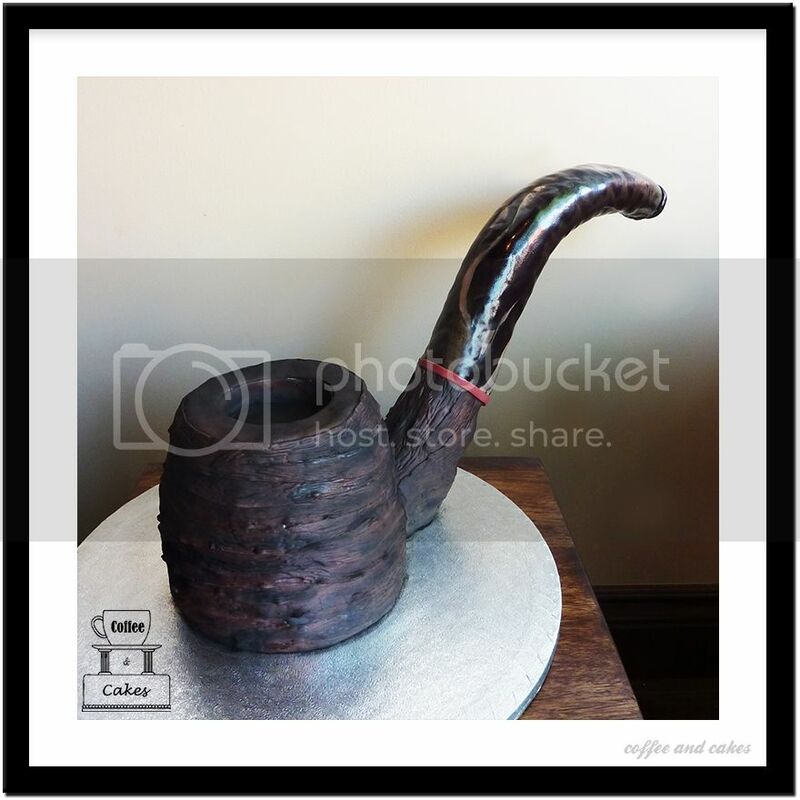 Lisa did an amazing job with the final textures and the cake was a big hit! And I can vouch for the taste since I had a piece of the red velvet interior. 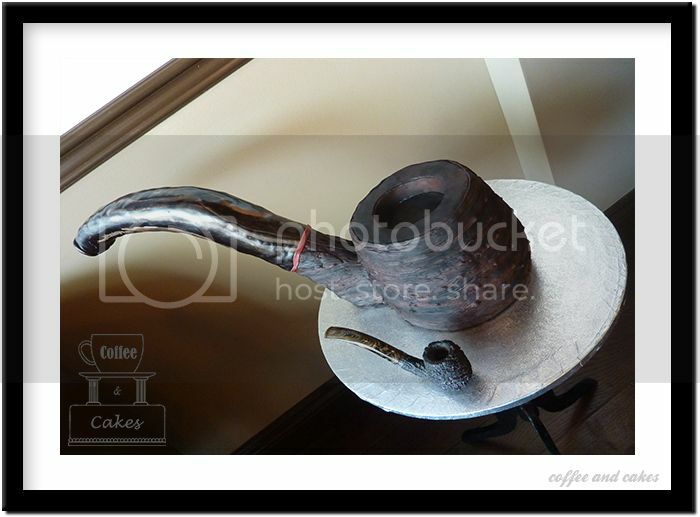 Parks Pipes are made of briar, the traditional pipe wood. Briar was first used for pipecraft 350 years ago. Briar is the root burl of the White Heath, a tree that grows in the arid regions of the Mediterranean. Each burl is dug by hand. The wood is cut into blocks, boiled and then air-dried in a cool and draft-free environment for many years. This process corrects the moisture content to equal that of its surroundings, at which point the wood is fully aged. Pipesmokers and makers alike seek out the briar because it exhibits a smooth smoke, enduring hardness and delightful grain. Tyler is Michael's right hand man.